A record-breaking US$8.4million was raised at The Nature Conservancy (TNC) gala dinner, which was held at the Grand Hyatt and sponsored by Morgan Stanley. 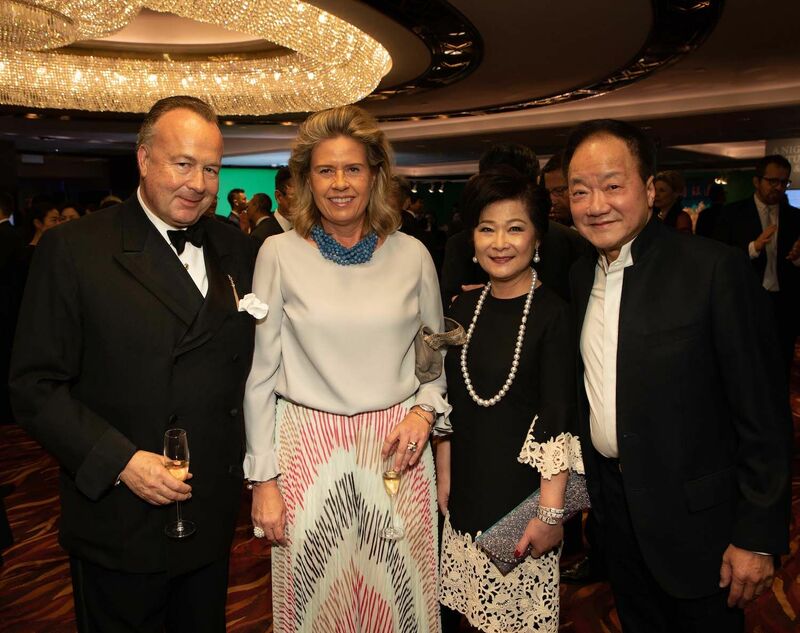 The evening, which was pegged as a night of nature, art and wine had several notable guests in attendance including Hans Michael Jebsen, Chee-chen Tung and Richard Li to name a few. The evening started with a welcome address from Moses Tsang, a global board member of TNC and a co-chair for the event, where he thanked everyone gathered for their ongoing support before debuting a clip made especially for the evening by CNN, which served as a call to action towards tackling the various issues born out of climate change. Many were taken by the musical entertainment for the evening, which included mesmerizing violin performances by Dan Zhu and Paloma So, who were accompanied by Maria Jee on the piano. The room fell silent when Rong Ying took to the stage, she played the dizi, a Chinese transverse flute. The silent and live auctions were a high point of the night with Ian McGinlay of Sotheby’s acting as auctioneer. Notable lots, which sold well above their estimates included a 6 litre Imperial Château Haut-Brion 1989, 8 double magnums of Opus One, and 1.5 litre Nieport 150-year-old Port in a Lalique 1863 Decanter, which sold for HK$1,054,000—setting a new world record for the most expensive Port wine sold at auction. All funds raised on the night will support TNC’s various conservation projects.